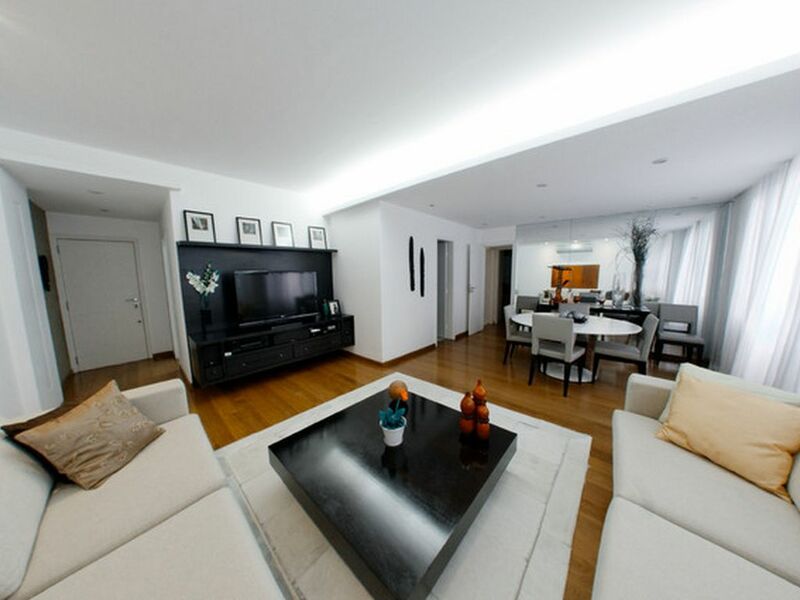 This is a very nice sophisticated apartment (1.100 sq feet/100 sq meters) in Leblon, the best neighborhood in Rio, furnished 2 bedrooms with 2 baths and garage in a building with doormen and 2 elevators. The building is located three blocks from the beach, three from the lagoon, steps away from countless restaurants, 24 hrs supermarkets, 2 shopping center, three movie theaters, art galleries, coffees, big bookstore, gym, Starbucks, pharmacy, McDonald's, meeting offices to rent, bus terminal and everything else that Leblon has to offer. Very very good place to stay, near the beach and restaurantsm, clean and modern. We had a fab stay, the apartment is exactly as you see it on the pics and Gilberto's been really nice and welcoming! he knows the area very well and got loads of good tips on where to go, what to do etc..! the apartment as everything you may need and location is fantastic.. Obrigada! Very beautiful, bright and clean apartment, great location near the beach, the lake, restaurants and supermarket. The building was quiet and the AC units kept the room nice and cool. The apartment was perfect for us, and exactly as described. Had a wonderful time, would definitely stay there again. Couldn't be happier. Thank you Robert, it was a pleasure to be with you. Fantastic apartment in Rio. Very clean and beautifull, close to beach and lake, close to cafes and restaurants, to the 24h supermarket, and full of character. My wife and I, and 3yr old son had the pleasure of staying at this wonderful apartment. Gilberto is fantastic and came and met us early in the morning upon arrival in Rio. Highly recommend staying here if you are coming to Rio, I know we will try to book in when we come back. Thank you Richard, it was a pleasure to be with you. The building is located three blocks from the beach, three from the lagoon, steps away from countless restaurants, 24 hrs supermarkets, 2 shopping center, three movie theaters, art galleries, coffees, big bookstore, gym, Starbucks, pharmacy, McDonald's, meeting offices to rent, bus terminal and everything else that Leblon has to offer. You can find many places to go in the night by walking in the safest, friendly and most prestigious neighborhood in Rio.